We understand how important visitors can be to our patients, and you are welcome to visit during visiting hours. Please visit our ward pages to check when these are. If your family member or friend has been moved wards, please double check visiting times for the new ward as they can vary. It’s not usually possible to visit outside of these hours unless nursing staff agree, so please ask. We like to limit numbers to two at a time, and again, please check with staff about children under 12. It’s normally fine for them to visit, too, but they must be properly supervised. 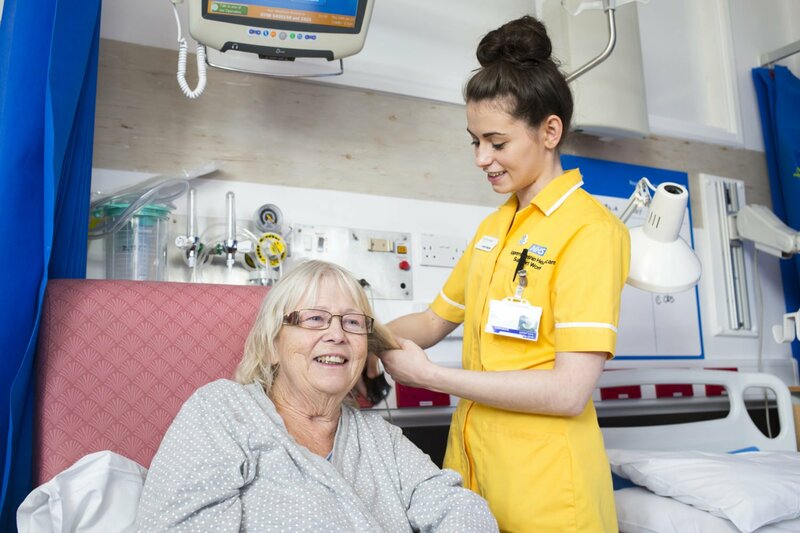 If your friend or relative has been admitted as an emergency, please read our urgent and emergency admissions page for information about what to expect and what to bring with you. You are welcome to speak to a doctor about your family member or friend’s care or treatment as long as they have agreed. They will need to ask a nurse to arrange an appointment for you. We take infection prevention very seriously so if you have a cold, cough, stomach upset or any other infectious condition, we ask you not to because of the risk of infecting other people. Please don’t sit on your friend/family member’s bed, or on other patients’ beds. If you have symptoms such as flu, diarrhoea or vomiting or infections such as chicken pox, please do not visit because you could easily infect someone else. We don’t recommend that young children visit, please talk to the nurse in charge beforehand if you’d like them to. Can I bring in flowers, gifts or food? To help keep patient areas clean and clear we would prefer you not to bring in flowers, large gifts or hot food. We also need to consider other patients allergies and tastes so please check with the nurses on the ward before you bring in any items.